In 2011, Google laid down an ambitious plan of Gigabyte Internet through fibre and has been increasing the pilot areas for this project. In 2012, they edged it to reality by laying down Google Fiber in Kansas city. Google’s intent towards higher data through puts is quite clear – Google’s business interests are directly impacted by the number of hours, terminals, locations, instances people would spend on the internet. So instead of depending on operator led networks which are still constrained at 100mbps or less, Google with its inexhaustible resources decided to go ahead and invest on data pipes to users by itself. I tend to believe that Google is also testing the hypothesis that the more interactions that people have on the internet- the greater avenues it provides Google to monetize i.e Delta increase in terms of internet interactions would lead to multiple-delta opportunities for Google to monetize the traffic. Corollary to this effort, is the effort to provide internet to as many users in developing states and 3rd world countries (Read Asia and Africa). Google’s business prospects are directly related to the number of Internet users. Hence taking the internet to 4.8 bn masses is an immediate opportunity and goal that Google seems to be driving forward to. 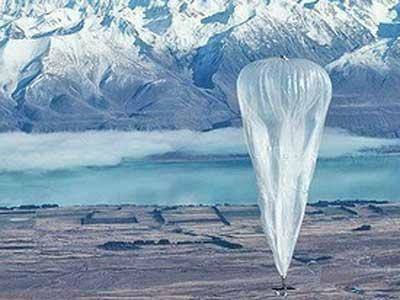 Towards this, Google is executing a pilot in New Zealand called the Project Loon – also called as Google Balloon with an eye to provide affordable Internet access in remote and rural parts. The plan is to have several balloons floating around the earth at an altitude of 20 km, or twice the height at which commercial aircraft fly, and beaming connectivity to areas that are not served by traditional copper or fibre optic networks. 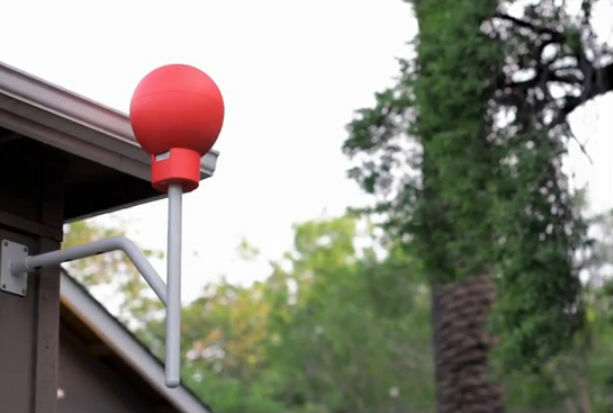 Special equipment that can be fixed on the roofs will communicate with the balloon, acting as the link enabling the user to communicate with the balloon. The 15-m-wide balloons are made up of super pressure polyethylene plastic and can stay in the air for 100 days. Each balloon carries a payload of electronics including a flight computer, altitude control system, communications antenna and a solar power station — turning the craft into a self-powering cell tower in the sky. The Loon balloons are strategically positioned on stratospheric winds and controlled by complex algorithms and computing power on the ground. Google believes that a ring of balloons can provide Internet access to a whole range of places that are really difficult to get to with normal technology. The company claims that connection speeds will be comparable to typical 3G access provided by cellular networks. Ground stations about 60 miles apart would bounce Internet signals up to the balloons. The signals would hop backward from one balloon to the next to keep people continuously connected. Solar panels attached to the inflatables would generate electricity to power the Internet circuit boards, radios and antennas, as well as the onboard flight-control equipment. Each balloon would provide Internet service for an area twice the size of New York City, or about 780 square miles, and because of its high altitude, rugged terrain is not a problem. Why don’t they just use satellite technology? There just isn’t enough satellite spectrum to go around for everybody in the world to do high-speed Internet via satellite, And for high data rates, one would need large antennae on the ground. Other limitations include cost, available launch vehicles and orbital slots in an increasingly crowded low-Earth orbit. This isn’t the first time high altitude balloons have been deployed. The EU’s CAPANINA project successfully delivered wireless broadband from the stratosphere, reports National Geographic. Every technology has an associated cost curve and scale which are the deciding factors to the spread and penetration of the technology. Currently, such costs associated with Project Loon would be significantly high> Google needs to up the scale for such an initiative. The good thing for Google is that while the scale and complexity of the idea is mind-boggling but it seems plausible, and Google is probably the only company with the resources to pull it off. And then there are others, willing to back some of this effort – Governments for instance! Is India’s digital music business opportunity a dead business model? 1. Less than 18 months post launch, Flipkart shuttered down its digital music store Flyte, giving the reason that India’s download market ‘will not scale’. 2. 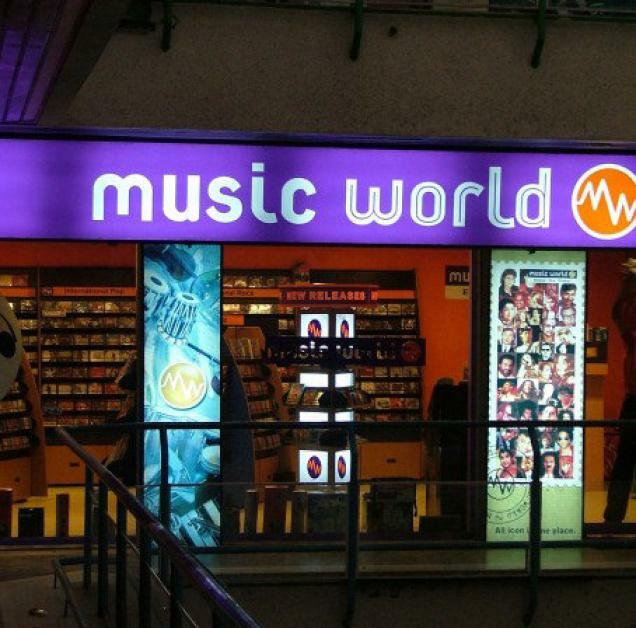 After 16 years, and 40 outlets spread over 50000 square feet area, the RP-Sanjiv Goenka group is also shutting down its Music World operations under pressure from falling margins per store. 3. Perhaps lesser known in India, social music player Tunewiki is shutting down operations after 5 years of launch. All these direct to the one thing – Digital Music as a business opportunity is busted. Online Piracy (songs.pk), streaming services and other ad-supported music content have taken over – and there isnt enough innovation in the current business models around music to make money on content. What has saved movies is the 3D content which is still a crowd puller at theatres – an experiential thing for which viewers are ready to pay. Alas! The business of Music didnot have any such innovations to sail it through. >Android Controls 70% of the global smartphone sales and is catching up on Apple’s tablet dominance at a fast trot. Android’s rise to dominance in global markets has been a phenomenon. Amidst worries of the platform segmentation and the dark Androids, the Android OS is making money for Google on the digital and mobile space – and tons of it if latest numbers from eMarketer’s worldwide digital and mobile advertising revenues are to be believed. Android is help Google corner more than half of $8.8 billion advertisers spend on mobile internet ads in 2012. In the overall digital space, Android’s dominance gives Google a third of the digital ad dollars spend, globally. 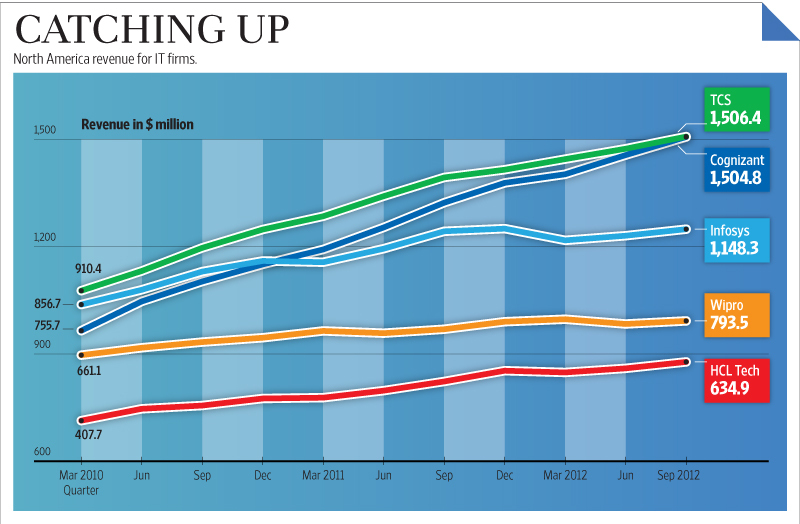 In terms of numbers, Google tripled its mobile ad earnings in 2012 over 2011 and clocked $4.61bln. For 2013, eMarketer expects the growth to be around 92.1% (around 2X of the $4.61bln in 2012) to $8.85bln. Google holds a very strong pole position in the Mobile Internet Ad revenues through 2011-13 and is seen to be increasing its market shares – all thanks to Android. 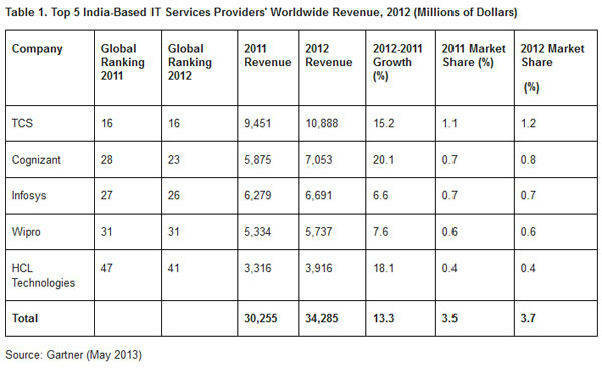 Globally, Google reigns with $32.73bln in net digital ad revenues in 2012 which constitutes 31.5% of the market. With blockbusters such as Google Search on Digital Medium, Android on Mobile medium and YouTube on Video Medium it is not any matter of wonder that Google will continue expanding its digital ad revenues and shares. The inexorable march of the Tablet category is pretty much in place – even while the 5.7″, 6″,5.3″ form factors are gaining ground and acceptance in India. 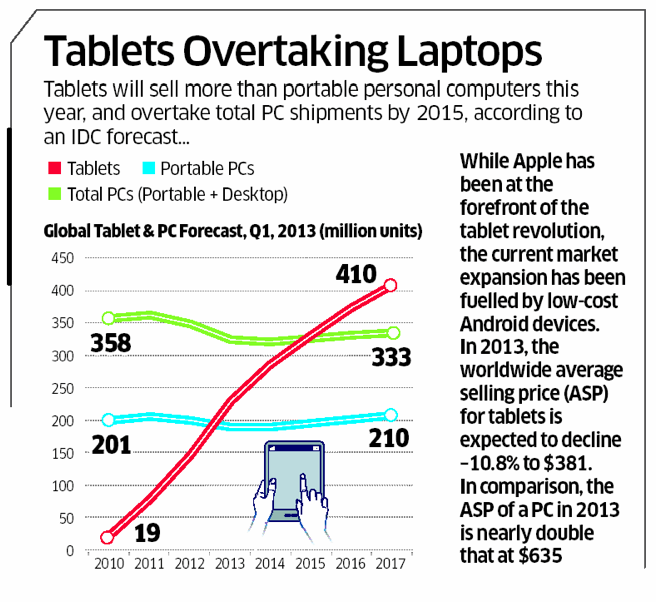 The Indian tablet market is set to double up from its 2012 numbers. Q1, 2013 registered 905K tablets sold in India which was a 159% YoY increase from the Q1, 2012 figures. While this number was 21% less than Q4,2012 – that is explained by the seasonality of the purchase. The Indian Tablet markets pick has been faster in second halves owing to lot of factors. These numbers are reported by CMR. As many as 59 domestic and international OEMs shipped their tablet PCs to India and led to a fragmented market with only 9 vendors beyond 20K tablet sales. However Indian consumers showed no bias towards International brands – as Datawind took the top honours with 15.3% of the market edging out Micromax at 12.3% Apple’s iPad mini enabled a come back to No.3 position with 11.3% market shares. The leaderboard points to a sort of polarization of India Tablet user segments – one set looks primarily for performance and best-in-class build quality and typically opts for the high-end Apple iPad, while the other segment looks for a wide range of features at an affordable price point and opts for brands like Datawind and Micromax. 1. While 3G data enabled tablets contribute only 28% of the Total Indian tablet markets, it is expected that this segment will see some serious action and expansion in days to come with the possible launch of low cost 3G SOC solutions by MTK.2. 2013-14 being the election year, one would see a lot of government doles in terms of tablet devices. 3. Also, one of the other trends that i am betting to see a lot more is the customization of tablets for specific industrial segments as we will see tablets featuring more on the Enterprise BYOD space. 4. Solutions such as Vernacular based solutions, Micro finance/Micro Credit/Financial Inclusion, Insurance industry solutions, Healthcare/patient record/ Patient history digitizations apps, Agrarian and Retail Point of Sale Applications will be key to segment growth in the coming days. 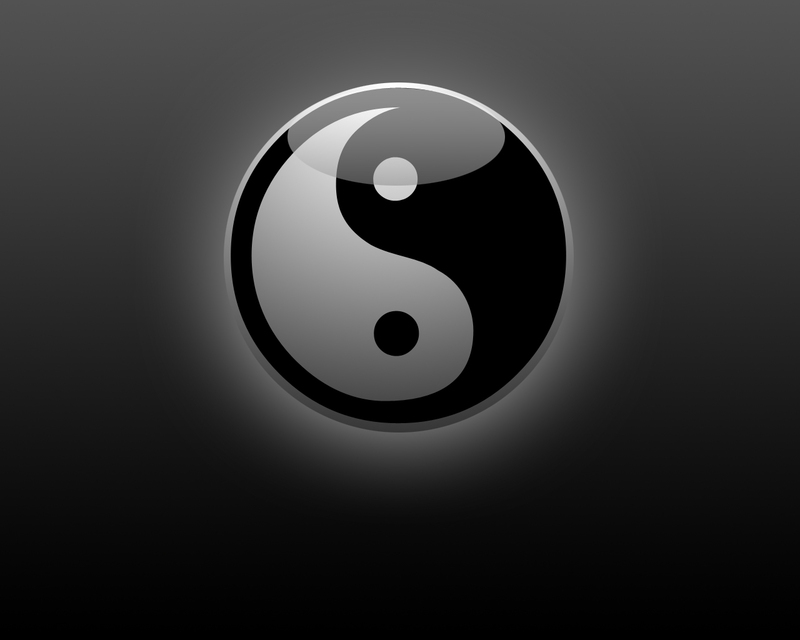 Eastern Philosophies and the Future of Wearable technology! Google Glasses superimposes a layer of information over the field of vision – popping out relevant (ad supported) tidbits of information on the Go. But is that all it is to it? Whats more to the Apple iWatch apart from all the fancy and possibly a Nike Fuel styled Pedometer and calorie counter? Reaction to external stimulus is much more sure, subtle in measurement of these body functions and thus can be the platform to much more immersive and persuasive experience and engagement. Apple is ideally positioned on the wrist to read Systolic/ Diastolic pressures and the Google Glass with a few changes can be positioned to read and record pupillary movements (or who knows- the pineal gland?). Samsung is already reading movements of the eye basis which they are powering the scrolling functions in its latest range of devices. Juxtaposing subtle body reactions to the construct of profile, context, time, location, online habits etc – could be a very powerful business driver at a very basic level. It could open up health, wellness, diagnostics and other medical/ wellness segments.Apple and Google are racing ahead of times – to position themselves at the intersection of the external and internal worlds of users. The focus with wearable devices is to seek and study subtle reactions of the body and build the next generation of applications and businesses which is more internal to the user. The ability to create experiences based on the life force of the consumer is possibly the determinant of the future. Is MTK set to disrupt the India/SE Asia Tablet markets? 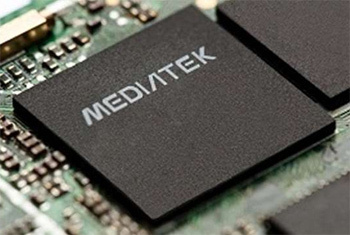 Mediatek (MTK) is a Taiwaneese semi conductor maker with revenues worth $3.4bln in 2012. In the semiconductor industry, that number is a modest one, and MTK’s market share is only 1.1% of the global semiconductor sales (Source- iSuppli). However, MTK has a few disruptions to its credit. Starting 2007 onwards, MTK’s chipsets engendered billions of low cost mobile devices at around half the price of the existing industry standards at that point of time. This provided a significant fillip the telecom industry as it lowered the cost of entry and initial cost of hardware acquisition for a first time buyer. It also was instrumental in replacement sales where in feature categories were available at lower price points thereby getting people to migrate from their existing handsets to a better feature set at a price equal or lower to the existing price of the handsets. It spawned companies such as Micromax, Lava and Karbonn. In 2012, yet another Taiwanese chipset maker – Allwinner disrupted the tablet market by providing chipsets for WiFi enabled Tablets. This enabled a spate of low end tablets for the first time tablet buyer. Tablet category was till then defined by the likes of Apple and Samsung. Allwinner with Android truely liberated the category of tablets for the first time buyer. What resulted was a major market disruption where in the markets shifted from the majors to low cost- value oriented minors. 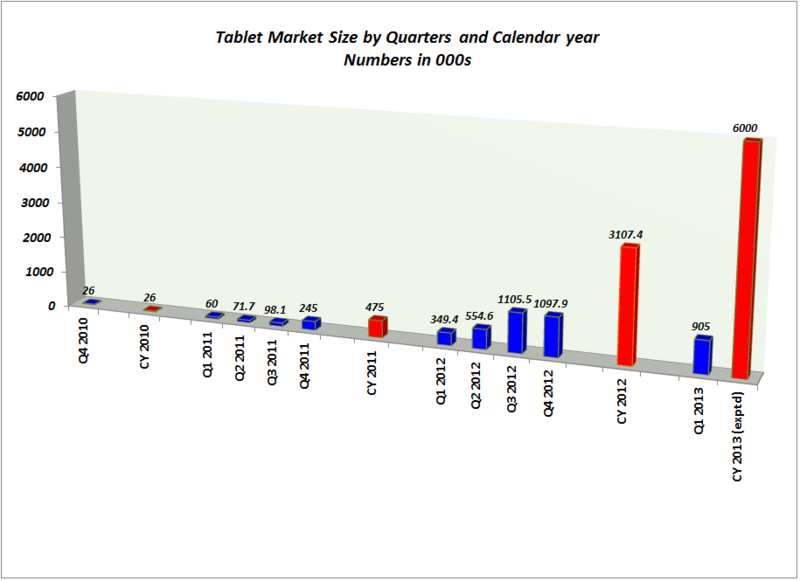 At the last count, such tablets sold 2.2mln units – out of the 3mln tablet market in India. What could that do? The way i look at it – there are a few sectors in India that could immediately benefit from low cost 3G tablets – Education, Insurance, Healthcare, G2C payments, UIDAI based transactions and Financial Inclusion, Enterprise and Businesses. Slowly but surely, a lot of drivers are getting together to push the tipping point for tablets and smart devices. While initial estimates point at 6 mln units sales of tablets in India in 2013 – the number might have a groundswell driven by the numerous government programmes – and the MTK advantage would be key to deliver services remotely on these devices.